The Green Heaven Hoi An Resort & Spa is ideally situated in the heart of old quarter so it is very easy for you to visit the attractive tourist destinations in old quarter within three minutes of walking such as Japanese bridge, Fujian Assembly Hall, Tan Ky Ancient House. 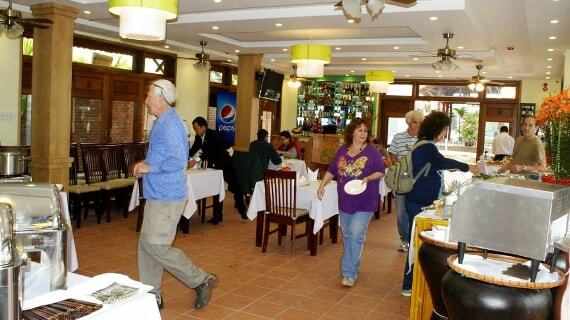 Especially, hotel is also surrounded by many bars, restaurants, souvenir shops, grocery stores and travel agents. It is just distant Da Nang airport 30 km and Cua Dai, An Bang beach 4 km even it is distant Tra Que vegetable village and other tourist destinations 3 km as My Son Sanctuary, The Museum of Cham Sculpture and Marble Mountain. You will be stayed in a beautiful place having the combination of modern architecture and traditional charm of Vietnamese as well as the combination of modern space and artful items with romantic view in front of the Hoai river of old quarter. The Green Heaven Hoi An Resort & Spa has 65 rooms in total especially each of them is decorated in different styles. All of these things will bring tourists the excellent services. 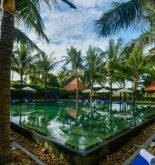 The Green Heaven Hoi An Resort & Spa resort always supports the most perfect services and the artistic products including swimming pool, gym, gift shop, bar, restaurant and spa. 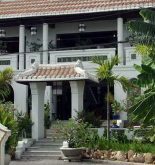 Address: 21 La Hoi St, Minh An Ward, Hoi An, Quang Nam, Vietnam. 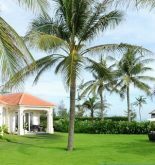 This information has been supplied by Green Heaven Hoi An Resort & Spa.